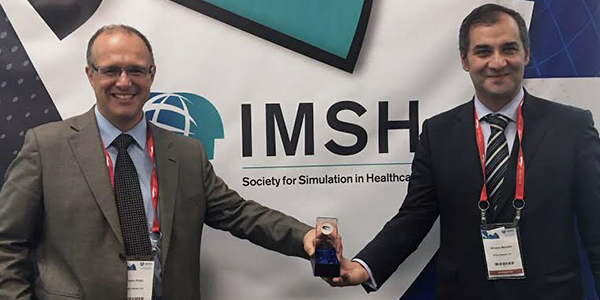 The Body Interact Team is very proud and happy to announce that our product has won a “Best in Show” (runner up) award in the Serious Games and Virtual Environments Showcase at the 15th Annual International Meeting on Simulation in Healthcare (IMSH) conference in San Diego, California (US). This award was judged based on innovation, technological implementation and game elements, the vision for how the game/virtual environment can impact education in the health professions, and the presentation of the idea at the showcase. Thank you to all of those who have visited our stand at the event and shared very interactive and interesting moments with us, building together the future of Simulation in Healthcare.